Shop Laney GS412VR Guitar Speaker Cabinet Stereo or Mono 4x12 240 Watts from AMS with 0% Interest Payment Plans and Free Shipping. 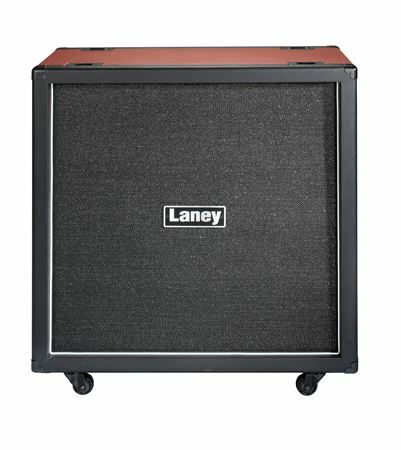 Laney's top-of-the-line cabinet, the GS412VR is a Celestion Vintage 30 loaded 4 x 12 closed back cabinet. The unique interaction between a tube amplifier and its loudspeaker is how tone comes to life. Mono or Stereo operation and fitted with castors as standard. Four Celestion Vintage 30s deliver complex overtones, low-end warmth, rich mid-range and beautifully detailed top-end. The GS412VR features mono or stereo connection options handling 240 watts in mono mode or 2 x 120 watts in stereo.